Beautiful, well-maintained home in a wonderful community! Front porch with swing makes it perfect for enjoying the good weather! Living room has built-ins, cozy stone fireplace, and plenty of space! Kitchen features stone counter-tops, pantry, and a great breakfast area! Deck out back is perfect for entertaining! You don't want to miss this home! 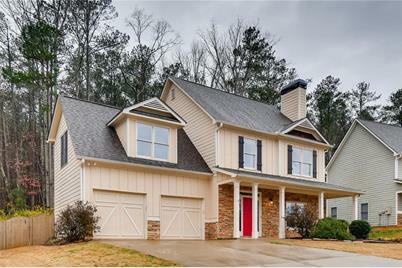 496 Homestead Drive, Dallas, GA 30157 (MLS# 6512660) is a Single Family property with 4 bedrooms, 2 full bathrooms and 1 partial bathroom. 496 Homestead Drive is currently listed for $250,000 and was received on March 01, 2019. Want to learn more about 496 Homestead Drive? Do you have questions about finding other Single Family real estate for sale in Dallas? You can browse all Dallas real estate or contact a Coldwell Banker agent to request more information.